This is an independent production by Chris Stevens. This track is a tiny window into Chris’ affinity toward the dance genre, and his ability to realize it using his several talents as an instrumentalist and a producer. The fourth installment from Vertical Current will lift your spirit and make you move your body all in one fell swoop. 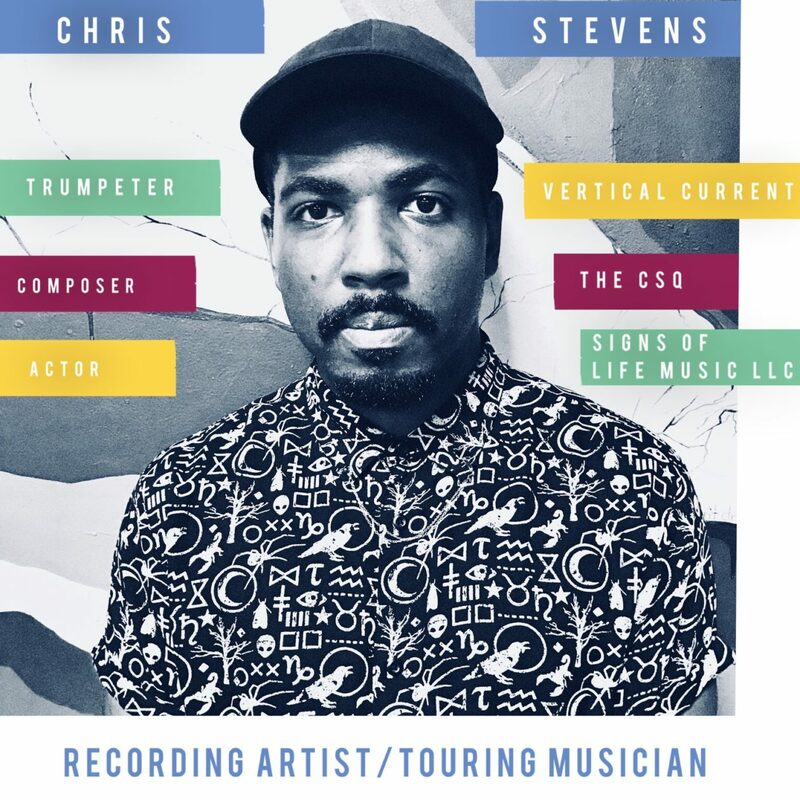 This is Chris’ very first album under his own name and the debut of his jazz combo, The Chris Stevens Quartet. It was recorded mostly live in the studio and straight to 2 inch tape for a very earthy and vintage flavor. Vertical Current’s debut as a recording entity explores the thresholds of modern jazz in hopes of cultivating a fresh sound by combining elements of various styles and genres. This album is music from a joint production venture between Chris and his wife Shaylah. It is comprised of songs that were written several years before the formation of Chris’ first band, Vertical Current, but most remained unreleased until 2011 when the band debuted their EP “aRe”. All instruments played by Chris Stevens and all vocals by Shaylah Stevens. This album is a collaboration between Chris, Shaylah and several friends.